If you are looking for an online store which is easy to setup and equally easy to run, Zen shopping cart is just the solution for you. 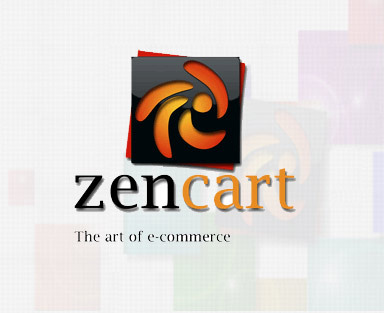 Zen cart is an open source, free to use, user-friendly and remarkably feature rich eCommerce software which best fits all kinds of online stores and shops. It is an exceptionally easy to handle and fulfills every need of the merchants and the shoppers. We at Adaptative, have an entire team of developers and designers working on this enthrallingly wonderful platform to help you create a profoundly successful online store that not only catches the attention of your target audience with eye-catchy design, intuitive & innovative look and feel but also makes the overall handling of the site a tremendously easy task. Why should you Hire Zen Cart Developers from Our Company? What exactly you look forward to when you hire a company to build a successful online business platform for you to sell products, ideas, or information? Perhaps you look for an easy to handle platform and reliability of the company? But what about an easily contactable support team that helps you throughout your online business process? We not only offer the best of the technologies and a dedicated development team to work for your success but also an easily contactable team offering your after sales support, so that you don't have to face any unwanted trouble. Whether you’re looking for just the Paypal integration or an entire Payment module integration solution; or aim at something creative like highly attractive design and development services or simply want to choose some great Zen Cart templates or it is beyond the regular designing and developmental needs and you’re desperate to get an outstanding project maintenance and most dependable network hosting solution, we provide them all at most reasonable prices that always fit well in your budget with a proper focus on our quality and standards as we are committed to offer nothing less than the best. At Adaptative, we simply love our clients and customers and consider their needs and requirements as our own. Thus, we love to listen to every single bit that you have to say whether it is a complaint or a query or a list of features that you want in your website, you just have to say, we'll listen and provide you with exactly what you want, right in your budget and quickest possible turnaround time.